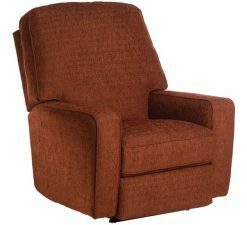 This fully upholstered swivel glider has a stylish, casual look of a slipcover, but is fully upholstered by one of our experienced craftsmen. 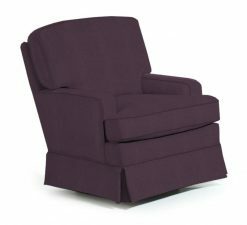 The plush seating will offer the most comfortable seat you and your baby will every enjoy. 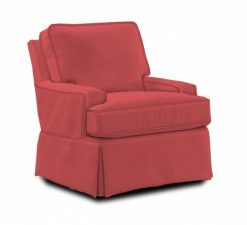 The back is removable and reversible as is the seat cushion. 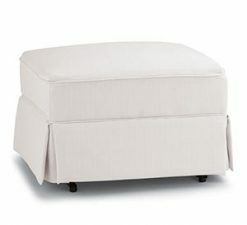 It’s available with or without contrast cording in your choice of fabric, and also available with a matching glide ottoman. 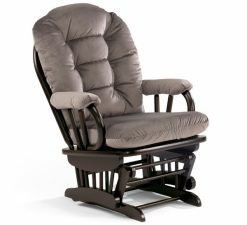 This will make the perfect nursery glider.